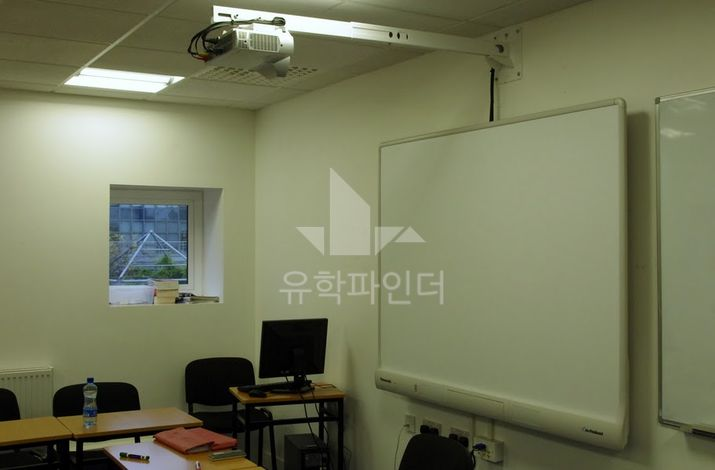 DCU(Dublin City University)는 1989년 대학교로 승격되면서 다른 종합대학보다 상대적으로 역사는 짧지만 가장 혁신적이고 매년 빠르게 성장하고 있는 대학입니다. DCU는 대학부설 어학원 중 유일하게 매주 개강하며, 장기방학을 제공하기 때문에 대학부설의 장점과 사설어학원의 장점을 동시에 갖춘 곳입니다. 시설면에서 더블린 최고 수준을 자랑하고 있으며, 수영장이 있는 스포츠센터 및 각종 편의시설을 DCU 대학생과 같은 조건에서 저렴하게 이용할 수 있습니다. 그리고 대학생들과 함께 각종 동아리 활동도 함께할 수 있으므로 자연스럽게 아이리쉬 대학생들을 사귀면서 영어실력을 향상 시키기에도 좋은 환경을 가지고 있습니다. 대학부설임에도 불구하고 소규모 Class로 운영되어 체계적인 시스템과 함꼐 교사들의 학생들에 대한 관심과 열의도 높은 편입니다. 더블린 시티센터에서 북쪽으로 더블린 공항가는 중간에 위치하고 있으며 센트럴에서 버스로 20분이면 이동이 가능합니다. 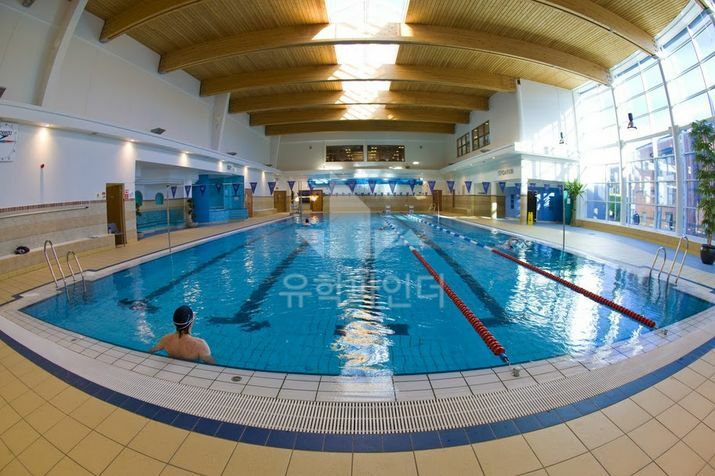 학교에서 가장 가까운 역으로 Clontarf가 있고, 버스 간격은 대략 6분 정도로 매우 짧은 편입니다. 따라서 더블린 시티센터까지 별다른 교통체증없이 신속한 이동이 가능합니다. DCU 주변은 주거지이므로 홈스테이 확보가 쉬운편입니다. 그래서 학교에서 도보로 20분 이내의 홈스테이 배정받을 확률이 높으며, 학교에서 대략 1~4km 정도 떨어진 홈스테이 가정을 대부분 보유하고 있어서 홈스테이 만족도가 높은 편입니다. 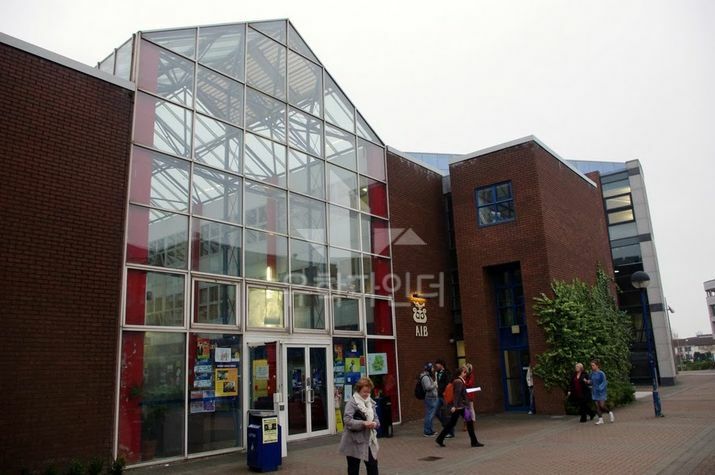 DCU 자체 기숙사는 여느 대학부설과 마찬가지로 여름방학 기간동안에만 이용할 수 있지만, 학교 정문에서 도보 5분 거리에 Shanowen Hall 이라는 연중 등록이 가능한 사설 기숙사가 있습니다. 시설도 좋고 위치도 좋아서 좋은 평가를 받고 있습니다. 대학부설임에도 불구하고 오전/오후 두번의 쇼셜 프로그램이 운영되어 오전, 오후반 학생들이스케줄에 구애받지 않고 수강이 가능합니다. 이력서 관련 수업 및 영어 인터뷰 스킬, 영어 회화 실력 향상을 위한 컨버세이션 클래스가 운영되며 주중 2회 무료 수업을 통해 프리젠테이션 및 스피킹 스킬관련 수업을 무료로 들으실 수 있습니다. [학교평가]강사나 시설 등 두루 만족스럽네요. [학교평가]대학부설이라서 선생님들에 대한 만족도가 큽니다. [학교평가]선생님들과 시설이 보장되어 있는 학교 :)!! [학교평가]대학부설이라 캠퍼스가 아주 넓고 도서관은 시설이 좋아서 공부하기에 너무 좋았습니다. 레벨테스트 : 등교 첫 날 레벨테스트(Writing & Speaking) 를 통해 반배정이 이루어지고, 매주 금요일 마다 정기적인 TEST 결과와 강 사판단 학생의 요구에 따라 레벨업이 이루어집니다. Listening, Speaking, Reading, Writing 스킬을 향상시켜주는 코스이며,25주 이상 장기과정을 원하는 학생들에게 적합한 코스입니다. 일반시험반으로 쉽게 코스전환이 되며 코스 후에는 IELTS, Cambridge(PET, FCE, CAE) or TIE시험을 응시해야한다. 영어능력향상을 위한 듣기 말하기를 기본으로 하여 문법 발음등에 대한 수업도 함께 이루어지는 일반영어 프로그램입니다. 세미 집중영어에 속하며 리스닝과 스피킹에 중점을 두고 수업이 진행되고 있다. 한반인원수가 적은 편이라서 학생들에게 인기가 많습니다. 대학진학을 위해 IELTS 시험을 준비하는 학생들에게 적합한 코스입니다. 시험 테크닉과 영어실력을 향상시키기 위한 수업으로 진행됩니다. 8주 과정으로 운영되는 프로그램입니다. FCE, CAE 2개의 클래스로 나뉘어지며,일년에 시험이 3번 있기 때문에 일반영어와 달리 수업 시작일이 정해져그 기간에만 등록할 수 있습니다. 캠브리지 시험합격을 위한 시험준비반으로, 레벨테스트를 거쳐 일정레벨 이상이 되어야 수강할 수 있는 코스입니다. 캠브리지 시험반 코스는 두 파트로 나뉘어 지는데, 첫번째 시간에는 문법,읽기,쓰기 등을 두번째 시간에는 듣기와 말하기에 초점을 맞춰 수업을 진행합니다. 캠브리지 시험센터로 경험많은 선생님들이 수준높은 시험반대비 수업을 제공합니다. 8주 단위로 운영됩니다. 2주간 진행되는 단기 코스입니다. 학생들은 전반적인 비즈니스 실무에 관련된 수업을 받게 됩니다. Get to grips with the skills you’ll need for your university course! 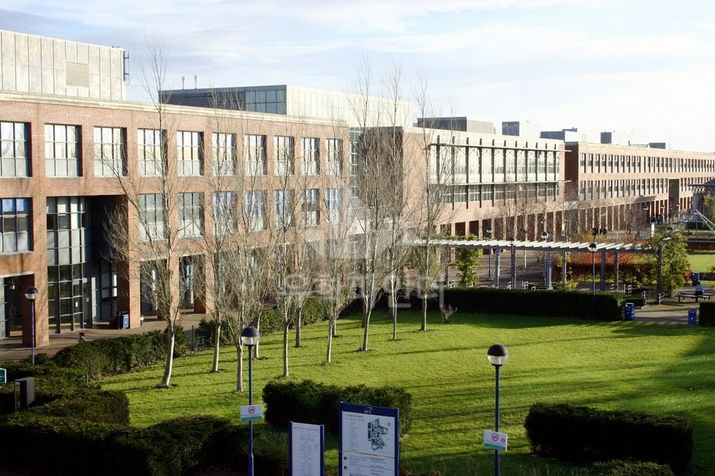 Pre-sessional English takes place on the DCU South Campus (St. Patrick’s). 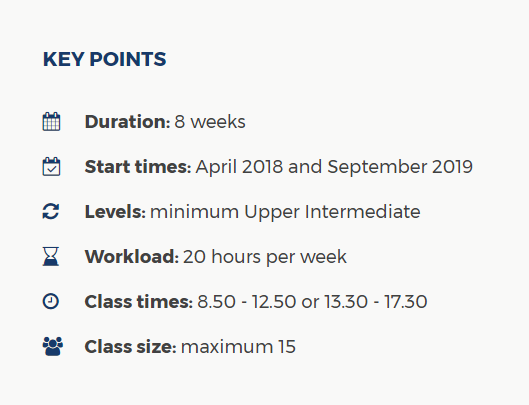 Intense focus on the distinct features of Academic English, with a view to understanding lectures, giving presentations and undertaking research. Understand how academic texts and lectures are constructed, from introducing a topic to critically analysing different points of view, as well as presenting your own empirically based research and justifying your own conclusions. Master academic protocols in written and verbal communication, including the indispensable academic skills of referencing correctly, drawing up bibliographies and presenting new research as distinct from foregoing conclusions. Dublin City University offers modern self catering student apartments located at the heart of the campus. 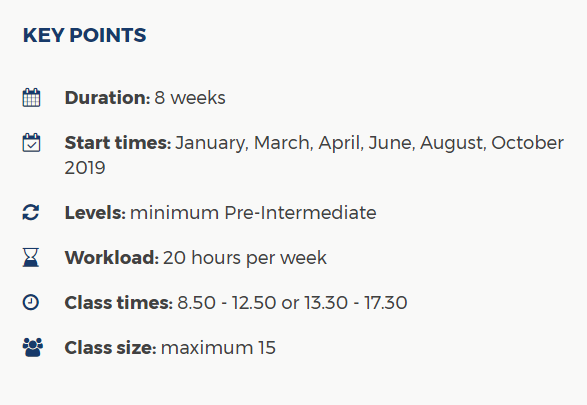 Campus Residence Accommodation is offered during the summer and rooms are subject to availability. Kitchen facilities are shared with other students living in the apartment. All cutlery and utensils are provided, allowing you to prepare your own meals. You also have the option to eat in one of the many restaurants and cafes on campus. 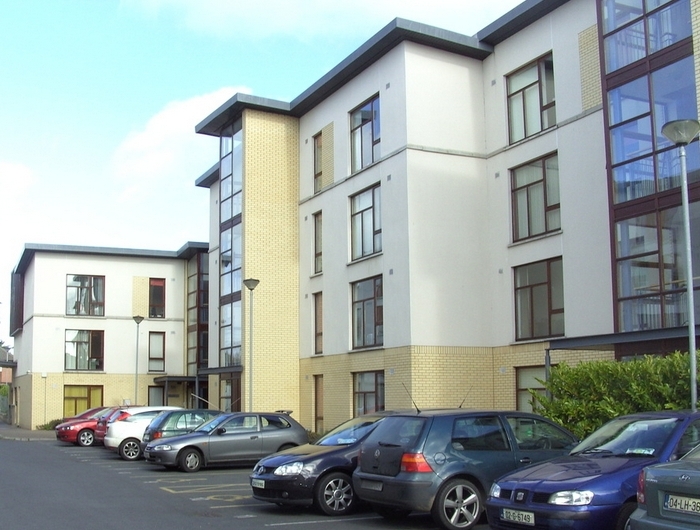 DCU is a fully wheelchair accessible campus and offers a number of wheelchair friendly Campus Apartments. Live in a shared apartment with other students. WIFI is available throughout the campus at no further charge. Single bedroom (En-Suite) with study desk. Shared kitchen facilities - you can cook in the apartment. Key-card access to student bedrooms. - For cancellations received within 27-7 days prior to the course commencement date, 50 % of payment received will be refunded. - For cancellations with less than 7 days notice no refund will be given. It may be possible to change your start date so please contact us in advance. Notification of postponements must be sent by email to english@dcu.ie at least ten days prior to the course start date. 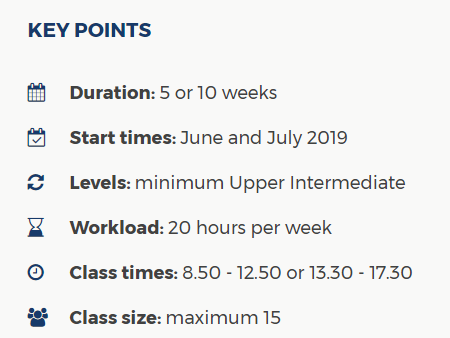 Please note that certain courses have set start dates so please refer to our current course list for details.